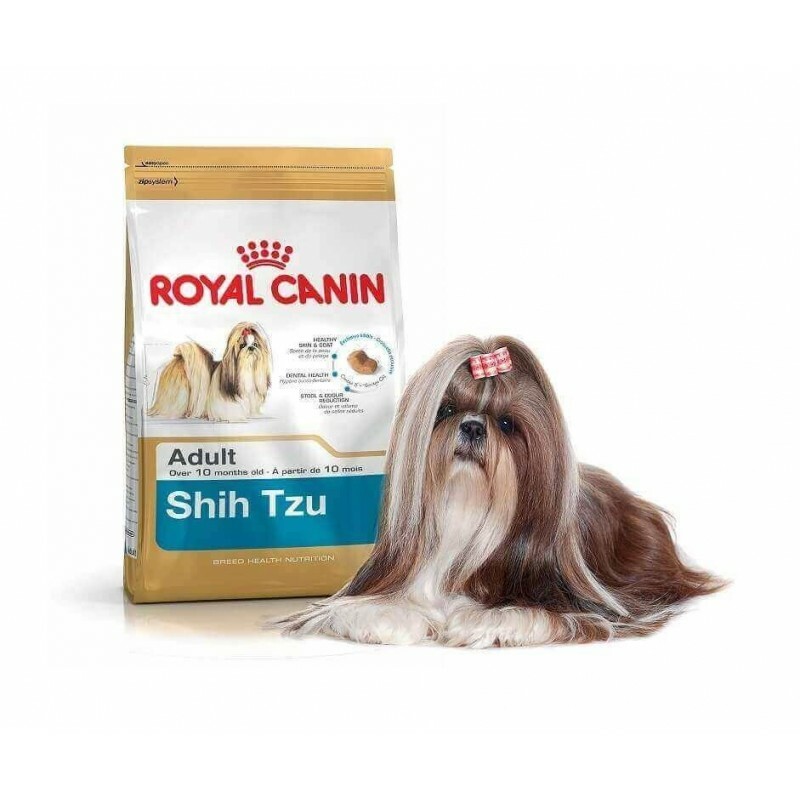 Royal Canin ShihTzu is a feed specialized for this breed of adult dogs from 10 months of age. 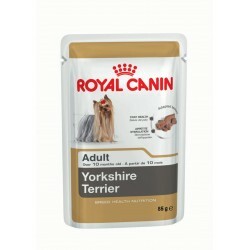 The I think dry Royal Canin Shih Tzu is indicated for the diet specific of adult animals of this breed (from 10 months). Its composition meets their dietary needs and food is made with all the nutrients it needs to be healthy. 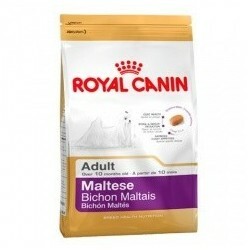 If you want to know what feed to give to a dog shih tzu, be sure to try this delicious treat that you will love. This dog breed is originally from China. With the passage of time, has become a dog-very popular because of its good character and its small size, which makes it that you can take anywhere. The beauty of its fur stands out at first sight and, in general, you should pay special attention to diet because they have a stomach quite delicate. That's why Royal Canin offers a food special dog shih tzu. You can brag about having a perfect balance of protein and energy to strengthen your muscles and keep you energetic. On the other hand, chondroitin and glucosamine protect your joints, something that, as an owner, you must not stop thinking. Its most distinctive feature is a fur long and dense that it is necessary to brush at least once a day to prevent the formation of knots. The fatty acids, sulfur, omega 3 and 6 favor the renewal of the hair and maintain its shine, what makes these animals appear to be more lustrous if they are properly fed. The Shih Tzu are very sensitive and have many allergies, skin diseases, an issue to bear in mind when choosing the food. To take care of your skin, this I think is enriched with B-group vitamins which protects your dermis to create a barrier that prevents swelling. This breed is characterized by its longevity (13.4 years on average), but it has a drawback, which is exposed during more time to the effects of aging. Some of these consequences are dryness of the hair, skin alterations, fatigue, heart, or kidney, liver problems, diabetes or osteoarthritis. The feed is in the form of croquettes and contain antioxidants (vitamins E and C, lutein and taurine) to avoid the emission of free radicals, delaying cellular aging and strengthen your defenses. In addition, you have an exquisite taste and thanks to the calcium-chelators prevent the formation of tartar. 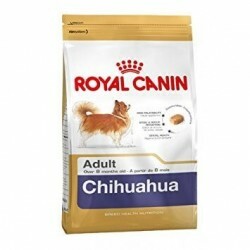 Royal Canin is a brand with a long history in animal feeding. I think for dogs shih tzu enriched with antioxidants that slow cellular aging. Presents a large amount of protein to strengthen their muscles. Contains fatty acids omega 3 and 6, glucosamine and chondroitin for the joints. Prevents the formation of tartar. Dry food complete and balanced indicated for the daily feeding of dogs of the shih tzu breed. Ingredients: rice, dehydrated poultry proteins, animal fats, isolated from vegetable protein*, hydrolysed animal proteins, vegetable fibres, beet pulp, minerals, fish oil, soya oil, fructo-oligosaccharides, borage oil (0,1%), extract of rosa India (source of lutein), extracts of green tea and grapes (source of polyphenols), hydrolyzed from crustacean (source of glucosamine), hydrolysed cartilage (source of chondroitin). Constituents analytical: starch (36,5%), protein (24%), fats (20%), calcium (0,8%), phosphorus (0,6%), magnesium (about 0.07%), zinc (230 mg/kg), iron (160 mg/kg), manganese (63 mg/kg), copper (22 mg/kg), iodine (3.5 mg/kg), selenium (0.25 mg/kg). Nutritional additives: vitamin A (24.000 UI/kg), vitamin D (31.400 IU/kg), vitamin E (600 mg/kg), vitamin C (300 mg/kg), vitamin B1 (28 mg/kg), vitamin B2 (48 mg/kg), vitamin B6 (78 mg/kg), vitamin B12 (0.17 mg), niacin (965 mg/kg), biotin (3 mg/kg), folic acid (15 mg/kg), hill (3,000 mg/kg), linoleic acid (3,7%), taurine (0,2%), potassium (0,65%), sodium (0,3%), chlorine (0.6 per cent), fibre (4.5 per cent), EPA-DHA (0,3%), crude ash (4,5%), lutein (5 mg/kg), omega 6 (4%), omega 3 (0,75%). Follow the advice of the manufacturer before establishing some routines food to your dog.